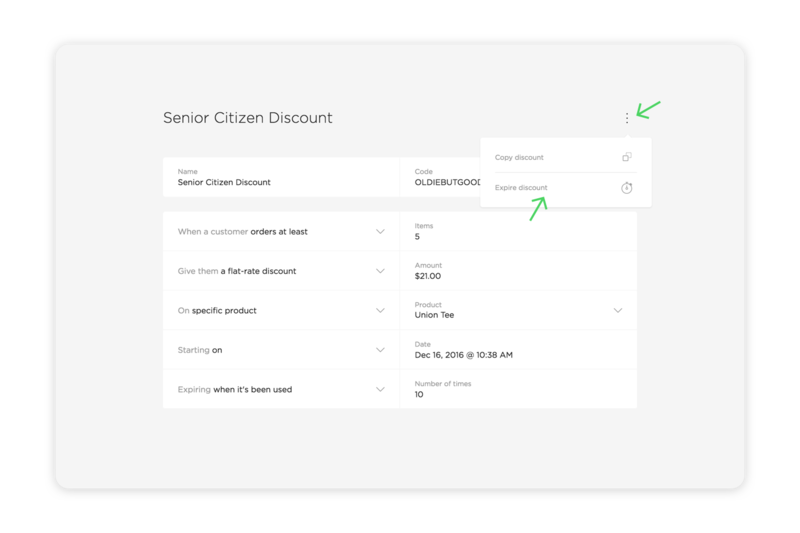 You can use the the bulk edit action menu to expire or delete a bunch of discounts at once. From the action menu choose Bulk edit, choose the discounts you want to modify, then choose Expire or Delete discounts. Choose the discount you want to expire. Click the action menu in the top right and then Expire discount. To delete it permanently, click the action menu then Delete discount trash. Tap the action menu in the top right and then Expire discount. To delete it permanently, tap the action menu then Delete discount trash.